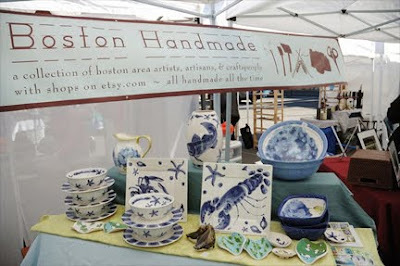 On Sunday, October 10th Boston Handmade participated in the SoWa Open Market. This was our third year exhibiting as invited guests and we were delighted to continue the annual tradition on such an auspicious day as 10-10-10. Lucie Wicker was the organizer of our presentation this year, and here she is in the above photo with her photographs on display. 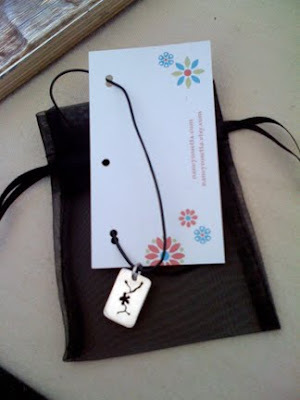 The show on the 10th was extra special for one of our newest members, Diane Ivey of Lady Dye Fiber Arts and Design. 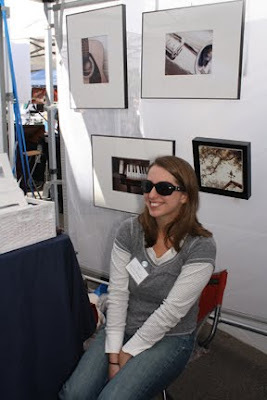 Seen above, the SoWa show was the first time Diane ever exhibited her work. 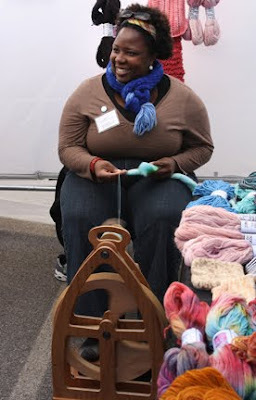 She brought her spinning wheel too, so she could demonstrate her yarn spinning techniques. 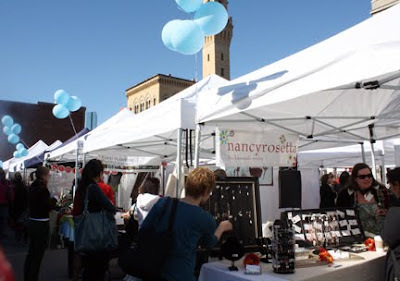 I was delighted to see our group members exhibiting together on such a beautiful fall day, and I took the opportunity to purchase a few gift items for friends and family including the beautiful necklace above for my Sister-In-Law made by Nancyrosetta. Showing our work together is one of the things that makes Boston Handmade great, being there for each other through times of thick and thin is another. I'm excited for the upcoming public and member-only events we have scheduled and to our winter show season.